Showcase Your Brand or Event with Fence Signs, Wrap Banners and more! Temporary fencing is often used by construction project managers and event organisers. Construction project managers install construction fencing to prevent unauthorised access to their construction sites and to safeguard the public against debris coming from the site. Event organisers use their fences to enclose their event venues, protect their performers or participants, and keep out gatecrashers. 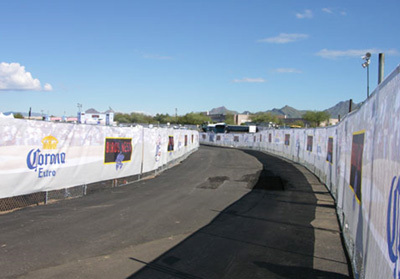 If the event is to be held on the streets, temporary fencing is used to reroute pedestrian and vehicular traffic. Security is obviously the main function of temporary fencing. But did you know that you can also use your temporary fence as an advertising tool by covering it with colourful and attractive barrier signs? These fence signs will generate a buzz about your project or event as well as promote your corporate sponsors and partners. We have fabric printed fence wrap banners that you can use for this. Our fabric fence wrap in Australia will not just make your fences look more visually aesthetic, but when paired with one of our printed fence wraps, banners or signage options, it can optimise your fences into advertising tools. These signs will create a buzz for your project or event and make the public curious enough to check it out. 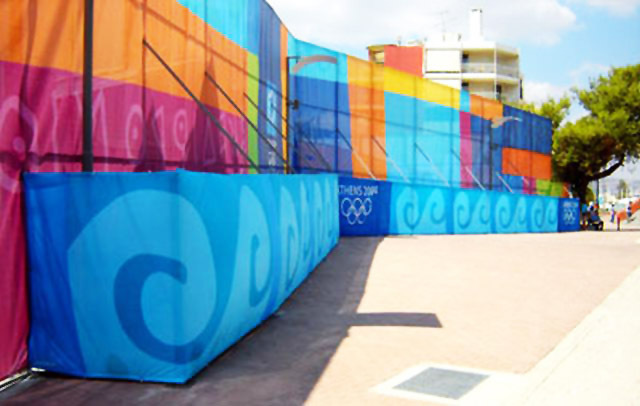 One of the many advantages of our fabric fence wrap is it is produced using dye sublimation. Dye sublimation printing is currently the most sophisticated fabric printing process available in the market today. 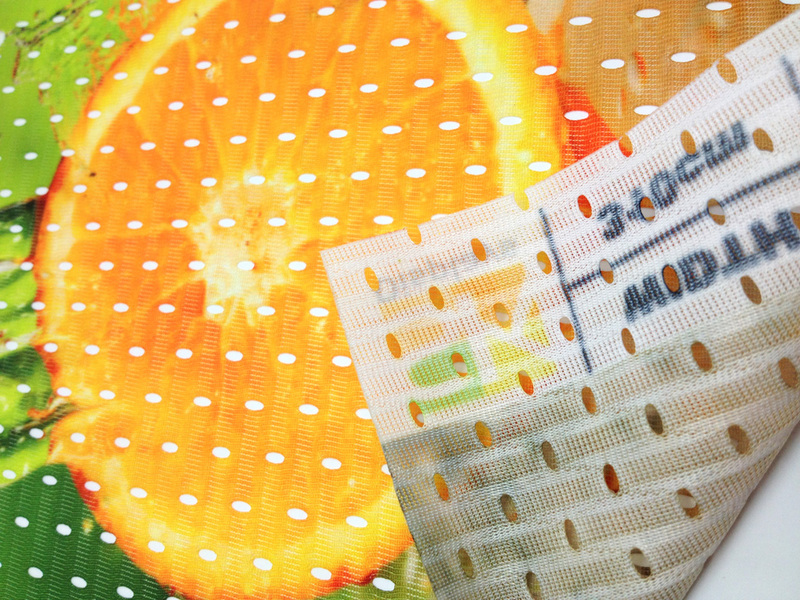 This process makes use of high levels of heat and pressure to create imprints on fabric. You can have any design you want printed on the fabric wrap, including your company logo and your sponsors’ and corporate partners’ logo. Dye sublimation printing will make your design pop and bring them to life. Your desired design for your fence or mesh wrap is first printed out on thermal transfer paper. A machine then presses the transfer paper against the fabric medium. The heat and pressure from the machine cause the ink on the printout to sublimate – that is, to transform from solid state directly to gaseous state and completely skipping the liquid state. The sublimated ink permeates the fibres of the fabric to create the imprint. The resulting imprint is richly detailed and brightly coloured. Moreover, it is weatherproof, damage-proof and resistant to fading. We use this across a range of our display solutions, including our street flag banners, and our pull up banners. If you are looking for quality signage or display solutions for your Sydney business, get in touch with our team. You can give us a call on 1300 886 221 or request a free quote today! Another benefit you will enjoy from using our fabric fence wrap is it is made of mesh cloth with a thickness of 150g/sqm. Mesh cloth is lightweight and porous, and yet very strong. You can hang it around your construction fencing as your construction site signage, but it will not weigh your fencing down, especially when you’re using open fencing instead of construction hoarding. It will still keep the dust and debris coming from your construction site from disturbing or harming the public. Additionally, because mesh cloth is porous, it lets 30% to 40% of wind and moisture to pass through it. This means your fence wrap will not undermine the strength and security of your fence – it will not cause erosion in the soil or paving into which your fence is installed, and it will not make your fence topple over. 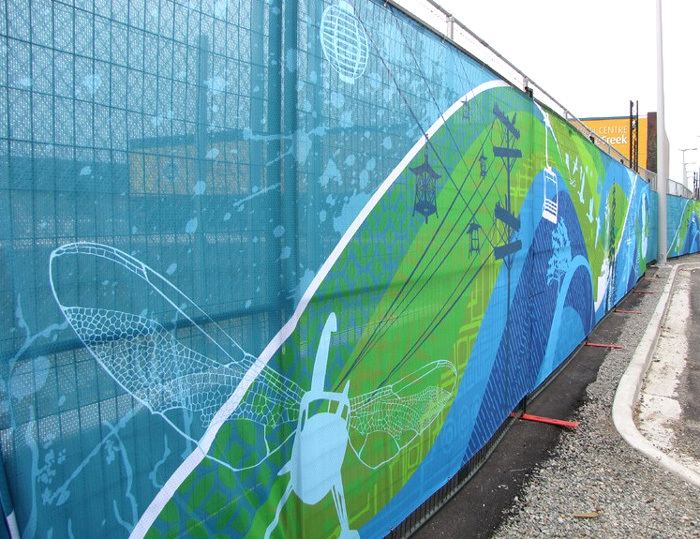 Exactly for what applications can use our fabric fence wrap? Here are just some of them. Construction sites – Whether you’re using open fencing or hoarding around your construction site, you can use fabric fence wraps as construction site signages to entice the public to buy or rent units at your building (if it is a condominium or office complex), or to hang out and have fun in it (if it is a commercial complex, theatre, restaurant, hotel or shopping centre). Recreation areas – Are you managing a zoo, amusement park, campground, or sports venue? Invite the public to enjoy your facilities by hanging a fabric wrap around your fence. Event venue – Are you organising a concert, convention, trade show or any form of public performance? Entice the public into attending the event with engaging fabric fence wraps. Street parades – People will want to know why streets are closed off and traffic is being redirected to alternative routes. It irritates them when they have to be inconvenienced this way. You can lessen this irritation and increase their goodwill instead by letting them know there’s going to be a parade, a motorcade, a race, a street party or any street event by installing fabric barrier signs. They will appreciate it and perhaps even join in. Our fabric fence wrap is the perfect solution for optimising your temporary fences into advertising tools for marketing your brand. We deliver banners and signages to any location in Australia, including Sydney, Melbourne, Brisbane, Perth, Adelaide, Gold Coast, Canberra and Darwin. Call us right now for more information on our fabric fence wraps.